It's insanely cold in many parts of the country right now. Here are 5 simple, boozy ways to warm yourself up. Put a French spin on this classic drink with a slug of Calvados (apple brandy). 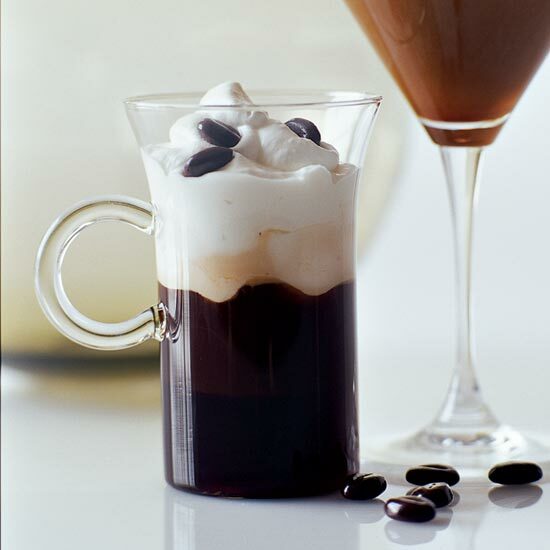 Upgrade your hot chocolate by adding a shot of dark rum. This ultimate spiked coffee calls for cognac, Frangelico and an awesome citrus-and-vanilla-flavored liqueur called Licor 43. Wondering what to do with two half-empty bottles of wine? Pour them into a pot and simmer with orange zest, cinnamon, black peppercorns and a bay leaf. Then stir in some sugar and enjoy the best mulled wine ever. Mixologist Todd Thrasher loves reproducing the flavors of classic candies in cocktails. Here's his take on a York Peppermint Pattie.